GENEVA: UN Special Adviser on the Prevention of Genocide and UN Special Adviser on the Responsibility to Protect expressed concerns Thursday about the situation in Eastern Ghouta and Idlib in Syria. Adama Dieng and Ivan Simonovic issued a joint statement expressing their concerns “at the devastating impact of escalating hostilities in Eastern Ghouta and Idlib in Syria on civilians”. The statement warned that both of the provinces are “designated de-escalation areas under the Astana process and should, therefore, be places where civilians should expect a minimum level of safety”. It highlighted that around 393,000 people in Eastern Ghouta have been subjected to airstrikes, shelling and bombardment by regime forces and their allies, since Nov 2017. “These people are living under extreme conditions as a result of a siege of the area by the Syrian Government, with some facing severe food shortages and malnutrition,” it added. According to The Office of the High Commissioner for Human Rights (OHCHR) data at least 85 civilians, including 30 children, were killed in Eastern Ghouta between Dec 31, 2017, and Jan 18, 2018. Escalating fighting, in southern Idlib and northern rural Hama, between regime forces and opposition groups has caused a number of civilian deaths and displacement of over 200,000 civilians recently, according to the statement. 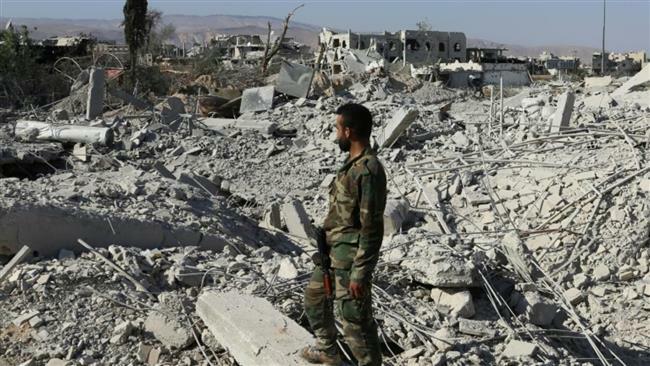 “The level of violence and suffering inflicted on the Syrian people after almost seven years of conflict should not be tolerated,” it added. The statement also noted that “it is estimated that more than half of the country’s basic infrastructure is damaged or destroyed and over 13 million people are in need of humanitarian assistance”. Home to some 400,000 people, Eastern Ghouta has remained under a crippling siege by the Bashar Assad regime since late 2012. Eastern Ghouta and Idlib fall within a network of de-escalation zones – endorsed by Turkey, Russia and Iran – in which acts of aggression are expressly prohibited.